This entry was posted in Winery Spotlight Tastings and tagged Alentejano, Alexander Valley, Alexander Valley Vineyards, Cabernet, chardonnay, Cyrus Alexander, Estate wines, Hank Wetzel, Harry Wetzel, local wine event, local wine tasting, Maggie Wetzel, napa valley, pinot noir, sonoma ca, sonoma pinot noir, sonoma wines, tasting, tasting event, tasting station, wine, wine event, wine portfolio tasting, wine styles, wine tasting, wine tasting event, winery spotlight, winestyles. Bookmark the permalink. 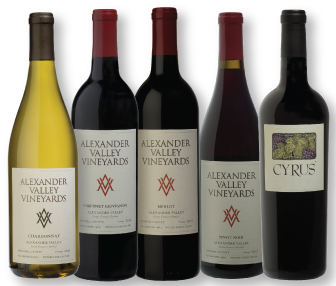 Alexander Valley Vineyards is really a beautiful property, and their wine is so consistently impeccable, particularly the Cab Franc.